Robert Lamm ist Sänger, Stückeschreiber und Tastendrücker in Chicago. Er hat seinen besten weißen Zwirn angelegt und auch die feschen weißen Schuhe. Mit enem knappen Dutzend sorgfältig ausgewählter (?) eigener Texte unter dem Arm ist er dann ab ins Studio, um sein SOLOALBUM zu produzieren. Die Lyrics hat er zum Mitlesen auf der Innentasche der Platte abdrucken lassen. Sie sind zurückhaltend ("Love Song"), witzig ("Crazy Way To Spend A Year"), trivial ("Some Day I'm Gonna Go"), manchmal leicht stupide ("Skinny Boy", "City Living"). Musikalisch am gelungensten sind das stampfende "Crazy Way", das wiederholt von einigen Wiener Stehgeigern unterbrochen wird und natürlich (!!!) "One Step Forward, Two Steps Back" über dem knallhart heruntergerockten Baß. Nicht schlecht der gebossanovate "Love Song" mit einem eindrucksvollen akustischen Gitarrensolo von Alan de Carlo. Reizvoll auch der Einsatz der hysterischen Pointer-Sisters-Vocals im Kontrast zu Lamms metallischer Stimme im "Skinny Boy" und das totale Freak-Out, das sie auf "City Living" veranstalten. Nervend bisweilen Larnms stakkato abgehärnmerte akkordhafte Pianotechnik und das mehrfache Zugeigen einiger Nummern durch das Orchester. Na ja, als das Album dann eingespielt war, hat er sich den Hofphotographen bestellt, auf dass dieser ihn in seiner schicken Montur ablichte, mit Weichzeichner und allem im Great-Gatsby-Stil auf Vorder- und Rückseite des Covers und sogar auf dem Label Fab. Im großen Ganzen gesehen, hätte Lamm sich vielleicht doch noch zwei oder drei textlich und musikalisch geistvollere Stücke einfallen lassen sollen und dann eine Scheibe ohne flops machen können. Stimmt doch, Gina? Ja, sagt sie. Na also. At the time of the release of Robert Lamm's debut solo album, Skinny Boy, in 1974, it was easy to think that the singer-songwriter-pianist intended to launch a solo career, even though no announcement was ever made that he was leaving Chicago. The group was at the peak of its popularity at the time, having recently released the third of five consecutive #1 albums, Ch icago VII. But Lamm, who had written most of its early hits-"25 Or 6 To 4, " "Does Anybody Really Know What Time It Is?, " "Beginnings, " "Saturday In The Park"-was facing increasing competition from other writers in the band. And Skinny Boy, though its title song (also the album's single) had appeared on Ch icago VII, was a departure from the group's sound, especially in that it entirely eschewed the use of a horn section (though Chicago guitarist Terry Kath was all over it). The music was identifiably Lamm's in its mixture of Beatles-style pop-rock with elements of Latin, funk, and gospel, all cued to his percussive piano playing. The lyrics were full of distress: The word "crazy" appeared in four songs, including two titles, "Crazy Way To Spend A Year" and "Crazy Brother John, " and "insane" appeared in one. Lamm's voice often sounded strained, which contributed to the sense of a tormented soul but didn't do much for the album's commercial potential. But there also seems to have been little or no promotion (which is not surprising, since the album originally came out on Chicago's label, Columbia, which had little incentive to foment insurrection in its most successful group), and Skinny Boy quickly disappeared. Weniger Fortune als Bill Champlin auf "He Started To Sing" beweist der Chicago-Veteran Robert Lamm auf seinem neuen Soloalbum. "Life Is Good In My Neighborhood" wirkt vor allem in den rockig-funkigeren Passagen etwas steif. Immerhin befanden sich bei der Aufnahme Top-Profis in der Nachbarschaft: David Foster sowie die Produzenten Phil Ramone und Randy Goodrum. Skinny Boy, the first solo album by Chicago keyboard player and singer Robert Lamm, came out at the height of the group's popularity in the mid-1970s and never had much of a chance for independent success. 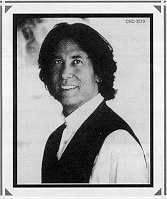 Lamm continued with the group, his early prominence in which came to be eclipsed by Peter Cetera's. By 1995, when he finally released his second solo album, Li fe Is Good In My Neighborhood, on Chicago's own record label, the group had not had a new album out in four years. Lamm seemed to have labored long and hard over the release, which was full of well-written and powerfully sung original songs. In particular, his social conscience, expressed in early Chicago material but not much since, was given free rein, as he reflected on the state of things "In This Country, " lamented "All The Years" that had gone by without improvement, and wondered whether "Jesse" (Jackson, presumably) could improve matters. But as that reference (in a song copyrighted 1988) suggested, by 1995 much of the album was dated. This was especially true of its sound and arrangements, which were dominated by the icy keyboards, searing guitar work, and drum programming typical of the early and mid-1980s arena-rock style of performers like Foreigner, Journey, and Starship. If Life Is Good In My Neighborhood had been released by a major label at that time, it might have been competitive. By 1995, it seemed a throwback. Though Robert Lamm's second solo album, Life Is Good In My Neighborhood, was released in 1995, 21 years after his first, it sounded like it might have been made as much as a decade earlier, implying either that Lamm was out of touch with current musical trends or that he'd been working on it for a long time. But his third album, In My Head, following a mere four years later, sounded much more contemporary. In fact, the tracks assembled by producer John Van Eps, with their occasional hip-hop and trip-hop rhythms, sometimes suggested that the listener was about to hear from a current rap act rather than a pop-rock veteran in his mid-fifties. But from the opening song, the philosophical "Will People Ever Change?, " it was clear that this was the same singer-songwriter who had sung "Does Anybody Really Know What Time It Is?" in his butterscotch voice three decades before. Chicago, the band he co-founded and to which he remained faithful, hadn't released a new album since 1991, and that seemed to be enough time for him to come up with an album's worth of excellent material, including: "Sacha, " a lovely ballad of parental love; "The Best Thing" and "Swept Away, " romantic duets with Phoebe Snow; and several songs that pondered the meaning of existence and the state of society. Best of all was the one song Lamm didn't write, "Watching The Time Go By." Written by Carl Wilson of the Beach Boys and Gerry Beckley of America (like Lamm, two longtime band members), the song reflected autobiographically on the passage of time, echoing John Lennon's "Watching The Wheels." Though, as usual, there were no indications that Lamm was about to leave Chicago, In My Head suggested for the first time that he had rediscovered the songwriting talent that launched that group and was using it to examine his times as trenchantly as he had in the 1960s and '70s. "You know I've still got the passion, " he sang in the catchy "The Love Of My Life, " and the album bore him out. 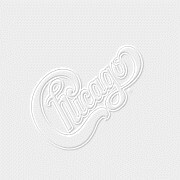 Bei den Rockjazz-Pionieren Chicago war Robert Lamm eine treibende Kraft. Und heute? Anders als sein Ex-Bandkollege Peter Cetera, der als Solokünstler den seichten Pop-Kurs der späten Chicago fortführt, zeigt Lamm am Mikrofon beträchtlichen Biss: Funky Rock mit vertrackten Metren und aufmüpfiger Gitarre („Will People Ever Change") steht da neben feinem Soulpop mit Phoebe Snow als Duettpartnerin. Und ,Watching The Time Go By", in dem Beach Boy Carl Wilson einen seiner letzten Auftritte hatte, ist edelster Harmony-Pop. „In My Head" beweist: In Lamms Kopf geht es äußerst rege zu. 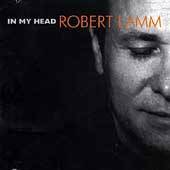 The best track on In My Head (1999), the third solo album by Chicago singer/keyboardist Robert Lamm, was "Watching the Time Go By," a song on which he was joined by Gerry Beckley of America (who wrote it) and Carl Wilson of the Beach Boys. The tune suggested a potential partnership by these three rock veterans that comes to fruition on Like a Brother. The teaming frees the performers to explore unusually personal topics; the songs are full of reminiscences and reflections on past experiences that give way to observations on the present characterized by determination and benevolence. Beckley's "Watching the Time" (a new version of "Watching the Time Go By") and Lamm's "Life in Motion" both look back on youthful illusions in the light of later wisdom. But it is Wilson who has a disproportionate presence on the record, with four co-compositions (to Lamm and Beckley's two each) and five lead vocals (to Beckley's three and Lamm's two). This is far and away Wilson's best non-Beach Boys work, and some of the best work of his career. His songs are full of a sense of a generous love, the kind one feels for family rather than a romantic partner. "I Wish for You" might be written for a child, while "They're Only Words" warns that love must be acted on, not just spoken about. The album's most striking song is "Like a Brother," Wilson's tribute to his brother Brian, in which he discusses the oddity of earning applause every night for performing music written by his usually absent sibling. "Like a Brother" deserves a place in any Beach Boys fan's collection. Beyond the songs as compositions, the album is stunning aurally, the three singers proving to have a wonderful blend and, coming from three bands in which they had to learn a lot about harmony and vocal arrangement, to be experts in the creation of luscious vocal music.This is the work of studio types who know how to make highly produced rock, and though there are simple, unadorned moments, for the most part this is densely arranged pop/rock that does justice to its creators' abilities. And yet the songs are some of the most introspective that any of these talents - each of whom has, to some extent, been subsumed within a group context - has ever performed. The tragedy, of course, is that Wilson's death makes this a one-off effort.